With the number of data centers increasing in the world, the supply of fossil fuels bound to expire in the future and the revolution of the eco-savvy, many are wondering how to green up the information industry. Data centers are essential to daily life; from massive Internet companies to banks, finding information at the click of a button has become a necessity. But at what cost? The New York Times reported last September that data centers throughout the world collectively use more than 30 billion watts of electricity, the equivalent of the energy generation from 30 nuclear power plants. The United States makes up roughly one-third of that consumption, the New York Times estimated. When consulting firm McKinsey & Company analyzed the energy use of 70 large data centers it found that only 6 to 12 percent of the energy consumption was used to perform computations. The remainder was basically used to keep the servers idling in case of increased activity. Fortunately there are several ways to make energy-efficient and eco-friendly improvements without negatively affecting the data centers. The idea behind eco mode is simple: to reduce the enormous amount of wasted electricity consumed by uninterruptible power supplies (USPs) in data centers. 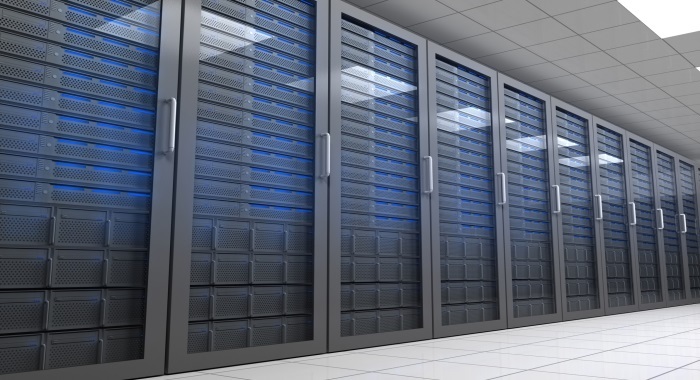 Just like using the energy-saving mode on your computer to reduce energy consumption, eco mode can reduce a data center’s servers to their lowest energy-sapping level. Alternating current USPs often have several modes of operation, one of which is the eco mode. This setting is the most efficient and can significantly improve data center efficiency and power usage effectiveness (PUE). In fact, GE’s SG Series UPS is touted as increasing efficiency up to 99 percent in multi-mode operation. Eco mode was included in the U.S. Environmental Protection Agency’s ENERGY STAR specification for USPs. In addition, it has been endorsed by The Green Grid, a leader in efficient information technology. Air conditioning costs for data centers can easily be cut by simply increasing the temperature. An air conditioner is the most efficient at 78 degrees in the summer and doesn’t need to be any cooler for the data center to operate effectively. Eliminate the need for energy-consuming air conditioning by turning up the AC in the server room. In many cases the need for mechanical chillers can be eliminated as well. Heat can be removed from a data center by using the natural elements in the area where it’s located. For example, in a cooler climate the cold air from outside can be used to cool the equipment. Water evaporation or thermal reservoirs can also get the job done without harming the environment. Because the power grid in the United States is so unreliable, most data centers have to use backup generators that run on diesel fuel in case of an outage. These generators, which are always running, cause large amounts of pollution. An alternative would be to run generators on renewable energy. Solar panels, wind turbines or hydroelectric plants can create energy to power backup generators without all the environmental harm. Even if renewable energy doesn’t provide enough energy to fully back up the system, replacing a few diesel models with clean-powered generators could make a significant impact for a data center’s carbon footprint. Sure, data center workers should have a recycling bin or two for paper and plastic, but the biggest environmental difference comes from recycling data center equipment. Not only can repurposing equipment save money, it could also eliminate unnecessary emissions from seeping into the atmosphere. Google, for example, has been reusing its data center equipment since 2007. It has transformed outdated servers and avoided purchasing more than 300,000 new machines because of the program. And if Google can’t find a use for all the pieces, it resells them to give the machines a new life somewhere else.